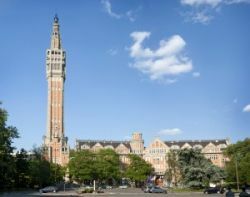 Moving from London to Lille with our international removals company is moving home the easy way. We make things easier for yourself since we know you already have a lot to think about when moving house. We know moving to France from London isn’t an everyday occurrence so we are there for you every step of the way. We keep things simple first of all by giving you the cheapest price you’ll find anywhere. So you won’t have to wonder which removals carrier is the cheapest, you’ll know right from the start it’s us. That’s why if you call Moving Service on 020 8746 4402 we give you a free, personalised quote. Why not give us a quick ring now in fact and hear for yourself how we not only keep thing easy but keep things inexpensive. Cheap prices however doesn’t mean an inferior product. Our removal company believes that if we can keep our costs down then we can pass those savings onto yourself. By knowing how to help people relocate from London to Lille better than other furniture movers, we keep costs down. The main reason for this is our knowledge of this specific sector within the removal market. London to Lille is part and parcel of our removals business. Likewise your own house move, business relocation or office move to Lille gives us an opportunity to show once again why we’re the best in the business for this journey. We have a long list of satisfied customers we have helped relocate to Lille and we want you to be the next. We really care about our customers and in turn the service we give to our customers. That’s why all our staff are trained to the highest standards of courtesy as well as having an expert overall knowledge of the removals business. 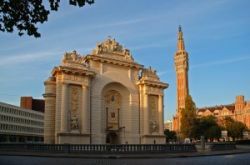 You really can rest easy in the knowledge that with us on board as your home removals company, things can only go right for you moving house to Lille. Lille itself is more accessible than ever from London with it being just a one hour twenty minute train journey with the Eurostar. Paris likewise is only one hour away from Lille. With a population of approximately 226,000 Lille is the fourth largest city in France. It’s a city which has transformed itself over the years and as well as now being an important transport hub, it’s an important commercial centre. It’s also known as one of the friendliest cities in France, the inhabitants proud of their Flemish hospitality. It’s also considered to have one of the most modern transport systems in France with buses, trams and a driverless metro. For your relocation to Lille, our expertise and reputation are just two aspects of our house removals company worth noting. Regardless of whether you want a man with a van to Lille or something more we have other removal services to help get you there in style. For instance, we have a packing and unpacking service which can aid you in terms of time and peace of mind. Our professional packers can pack away as many of your household items as you wish, all in an expert manner you won’t find with other international removal firms. We also have accessories for your removal such as packing tape, removal boxes, bubble wrap and mattress covers. We really are the removals carrier which gives home movers everywhere so much more. So let Moving Service show you moving from London to Lille the easy way and the cheaper way. Call us now on 020 8746 4402 and receive your free, personalised quote today.